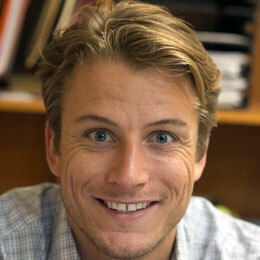 Cameron Taylor (BA University of Arizona) is Head of School. 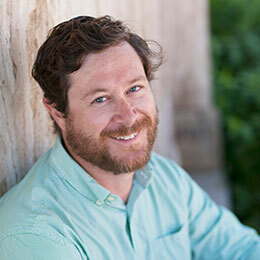 Longtime Director of Graduate Support and Enrichment at Imago Dei, Cameron is now responsible for all aspects of school operations, development, finance, and staff. He believes that working together, across platforms and disciplines, can provide our students a broader foundation to continue building inspired, healthy, successful lives. Kitt Bret Harte (BS Cardinal Stritch University, M. Ed University of Wisconsin, M.Ed. American College of Education) is the school principal. Ms. Bret Harte has more than 15 years of K-8 education experience and 15 years of healthcare management. She believes that each student brings us a unique opportunity to discover brilliance during the middle grades and beyond. Ms. Bret Harte teaches an advisory class to all grades, focusing on social and emotional growth, and mindfulness. Jacob Brainerd (B.A., M.Ed. University of Arizona) is Coordinator of Graduate Support and Enrichment at Imago Dei. Jacob has worked with Tucson youth for the past 5 years through teaching High School English, photography and environmental education, as well as working with various tutoring and volunteer groups. He looks forward to the opportunity to give every child the opportunity to succeed and achieve. 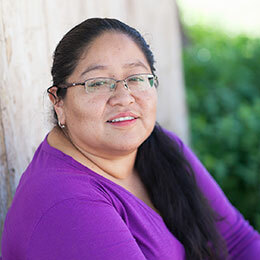 Peggy Solís (AB University of California-Davis, MA University of Arizona) works with Graduate and Family Support, as well as with community volunteers at Imago Dei. Her unique educational and personal experiences are a great asset in working with current and future Imago Dei families. 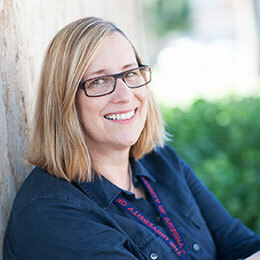 Renee Downing (BA, MA University of Arizona) mans the school’s Development Office. She has worked for many years in journalism, marketing and corporate communications. The mother of a graduate of St. Michael’s School in Tucson, she believes in Episcopal education. Rocío L. Suazo (BA Escuela Nacional de Biblioteconomía y Archivonomía, Mexico City) is Director of Admissions. Her professional experience includes working as a technical archivist, and in sales and as office support for various international companies in Mexico. She has also been a volunteer at the school and is the proud parent of an Imago Dei graduate. 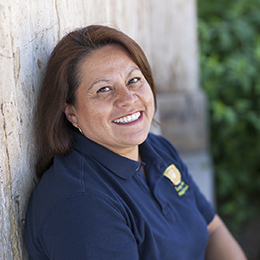 Maria Acosta is a valued member of our community who takes care of the maintenance of our school building. She is the proud parent of two Imago Dei graduates. Theresa Fichter (BA, University of Maryland) is serving as an AmeriCorps VISTA with Imago Dei’s Graduate Support Services. She previously taught middle school English for four years in the Washington DC area. She is passionate about bringing students, families, educators, and community members together to ensure that every child receives a meaningful, impactful, and high-quality education. She is honored and thrilled to be a part of the Imago Dei community this year. Mark Flanigan (BA, Edinboro University, MS George Mason University, MA International Christian University, Tokyo) is serving as an AmeriCorps VISTA with Imago Dei’s Graduate and Family Support Services. Mark has taught in Mexico, Japan, and Bangladesh, and has partnered with various international education organization in the US, China, and Thailand. He welcomes the opportunity to work with Imago Dei alumni and families to break cycles of poverty.